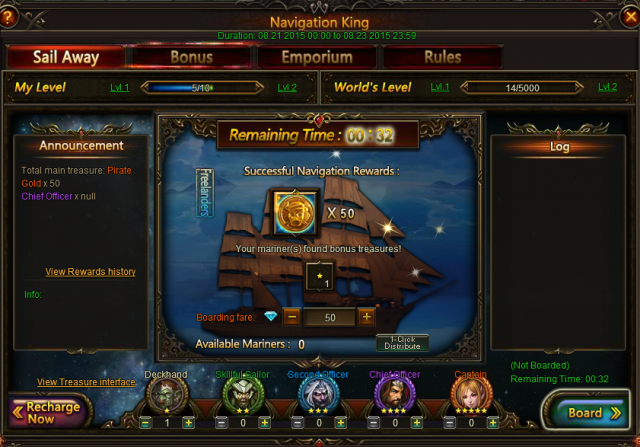 North America Forum»Forum ›League of Angels ›News and Announceme... › Navigation King: Sail Away to Seek For Treasure! 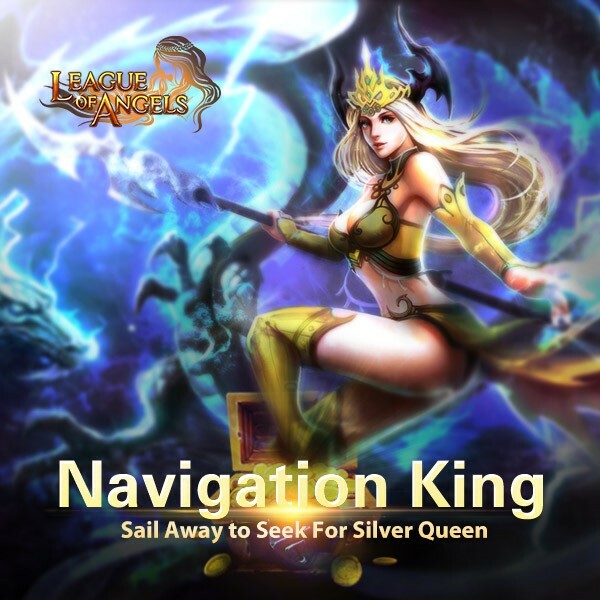 Navigation King: Sail Away to Seek For Treasure! 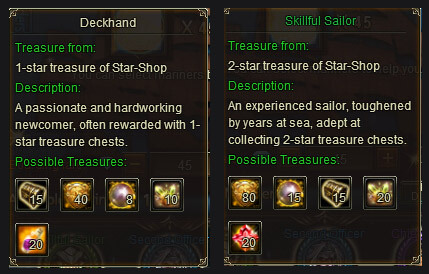 1 diamond ≠ 1 pirate gold. 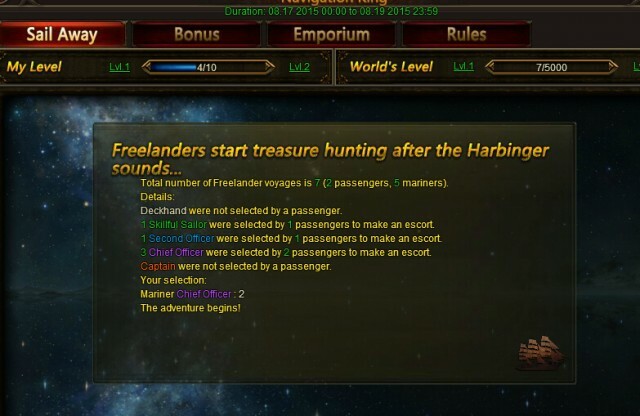 The more Boarding Fare you spent, the more Pirate Gold you will get. 2. 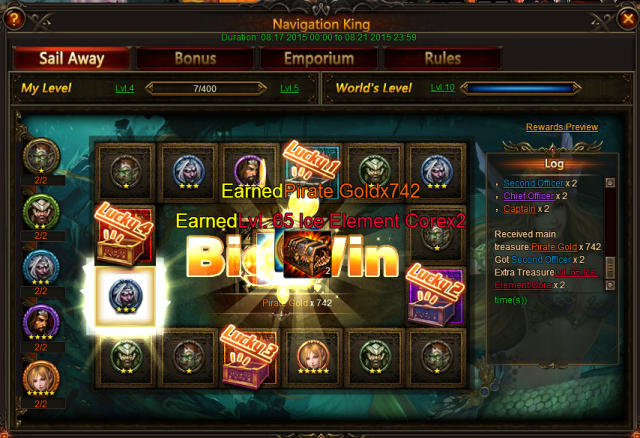 Spend any amount of Diamonds to automatically board a ship. Voyage will begin after the countdown finishes. 3. Spend 50 diamonds to employ one mariner immediately. 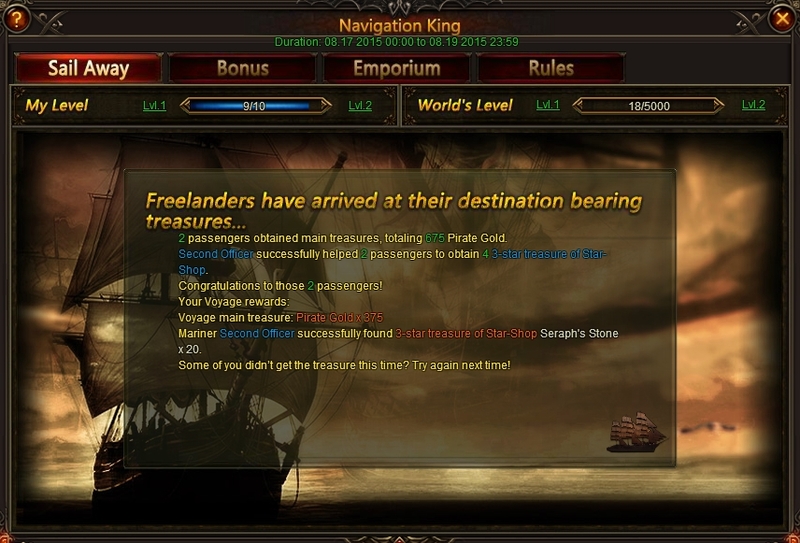 The mariner can find bonus treasure for the player.Different mariners can seek for different treasures. 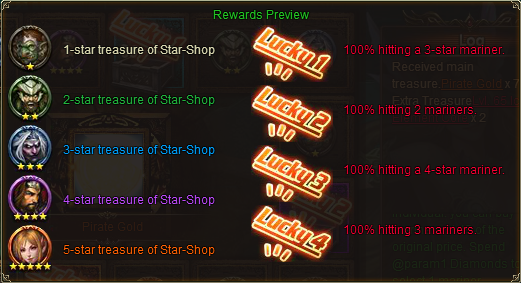 The cost is the same, but the chance to win extra treasure differs. Choose wisely! 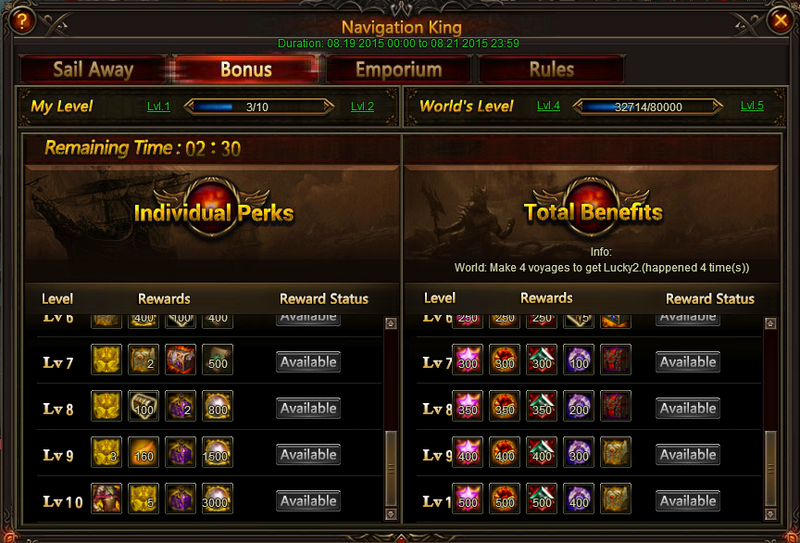 Then you can see this interface. When you got the reward. You will see this interface which you can check the log of this voyage. 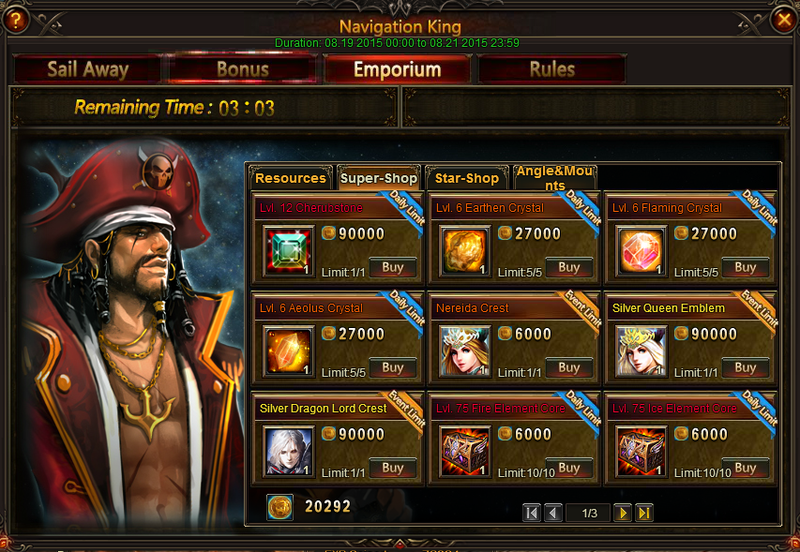 In Emporium you will see Super-Shop and Star-Shop. 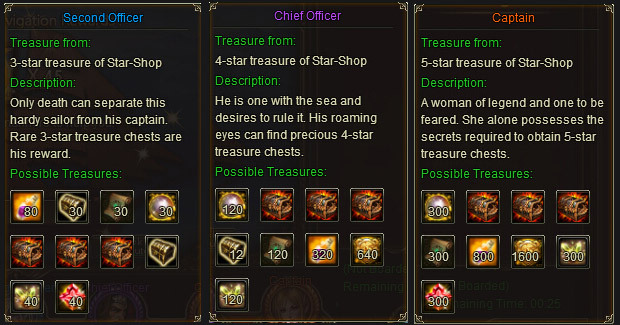 You can use pirate gold to buy hot items . Including Silver Dragon Lord, S[colorilver Queen, Nereida, Element Core, Cherubstone, and more! More exciting events are coming up through Aug 19 to Aug 21 (Server Time), check them out in the in-game Hot Events menu now! 2019-4-23 18:44 GMT+8 , Processed in 0.066338 second(s), 52 queries .